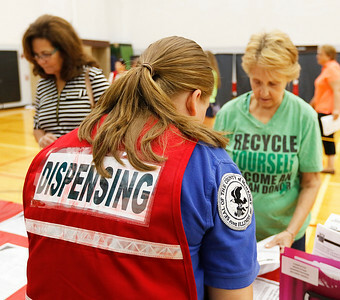 H. Rick Bamman - hbamman@shawmedia.com Dispensing team members assist volunteers playing the role of victims during the McHenry County Department of Health emergency Medication Dispensing exercise on Thursday, June 16, 2016 at Woodstock North High School. The drill was simulating an anthrax release in McHenry County and was part of a statewide exercise. H. Rick Bamman - hbamman@shawmedia.com Dispensing team member Janelle Carlson (center) assists volunteers Carole Ostrom (left) and Kathryn Provenzano on Thursday, June 16, 2016 as they participate in the emergency medication dispensing exercise at Woodstock North High School. The drill was simulating an anthrax release in McHenry County and was part of a statewide exercise. 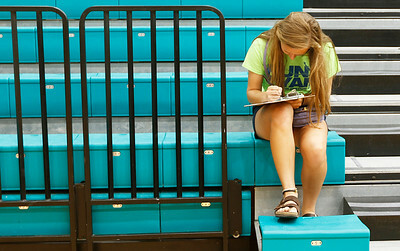 H. Rick Bamman - hbamman@shawmedia.com Volunteer victim Zoe Zuzzio completes a symptom questionnaire during theMcHenry County Department of Health emergency medication dispensing exercise on Thursday, June 16, 2016 at Woodstock North High School. 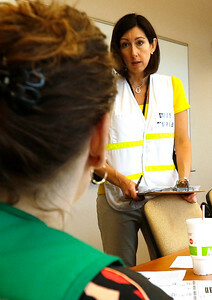 The drill was simulating an anthrax release in McHenry County and was part of a statewide exercise. 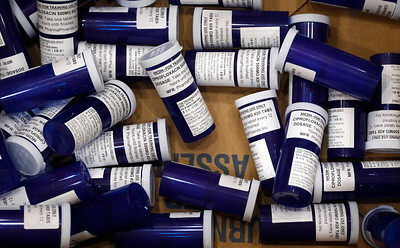 H. Rick Bamman - hbamman@shawmedia.com Prescription bottles serve as props during Thursday's emergency medication dispensing exercise at Woodstock North High School. 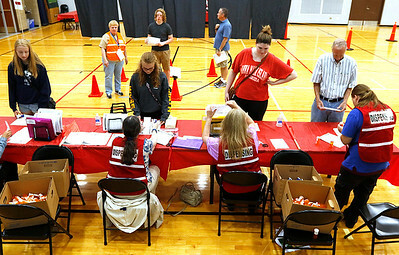 H. Rick Bamman - hbamman@shawmedia.com Volunteer victims arrive Thursday, June 6, 2016 to participate in the The McHenry County department of health emergency medication dispensing exercise at Woodstock North High School. 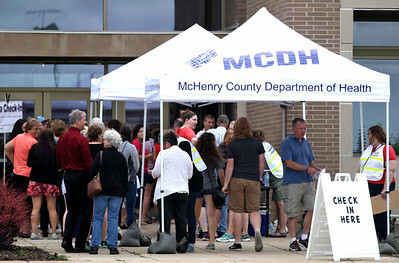 The drill simulated an anthrax release in McHenry County and was part of a statewide exercise. 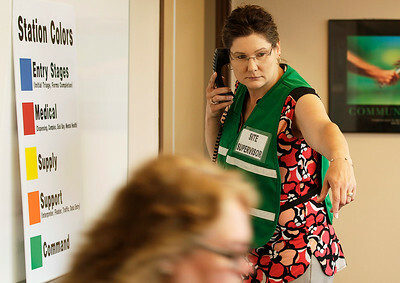 H. Rick Bamman - hbamman@shawmedia.com Site supervisor Jennifer Schorsch fields a call in the command center Thursday, June 16, 2016 during the emergency medication dispensing exercise at Woodstock North High School. H. Rick Bamman - hbamman@shawmedia.com Emergency Response facilitator Susan Borucki (right) speaks with site supervisor Jennifer Schorsch in the command center. 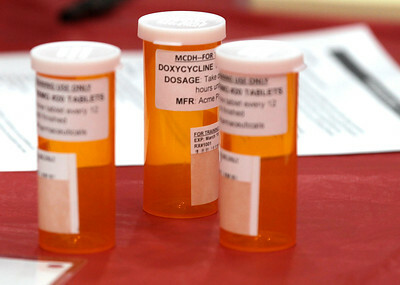 Prescription bottles serve as props during Thursday's emergency medication dispensing exercise at Woodstock North High School.